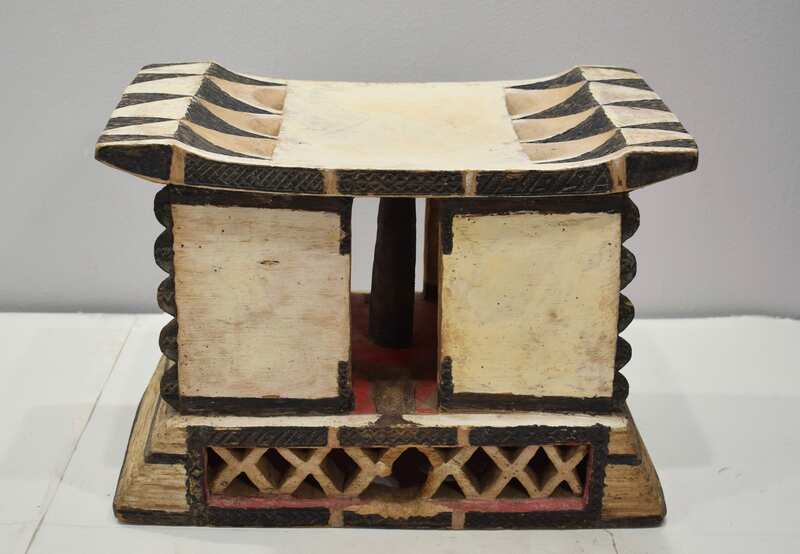 This is a White Ceremonial sculpted stool of the Ashanti people of Ghana,and are still widely used in most households. 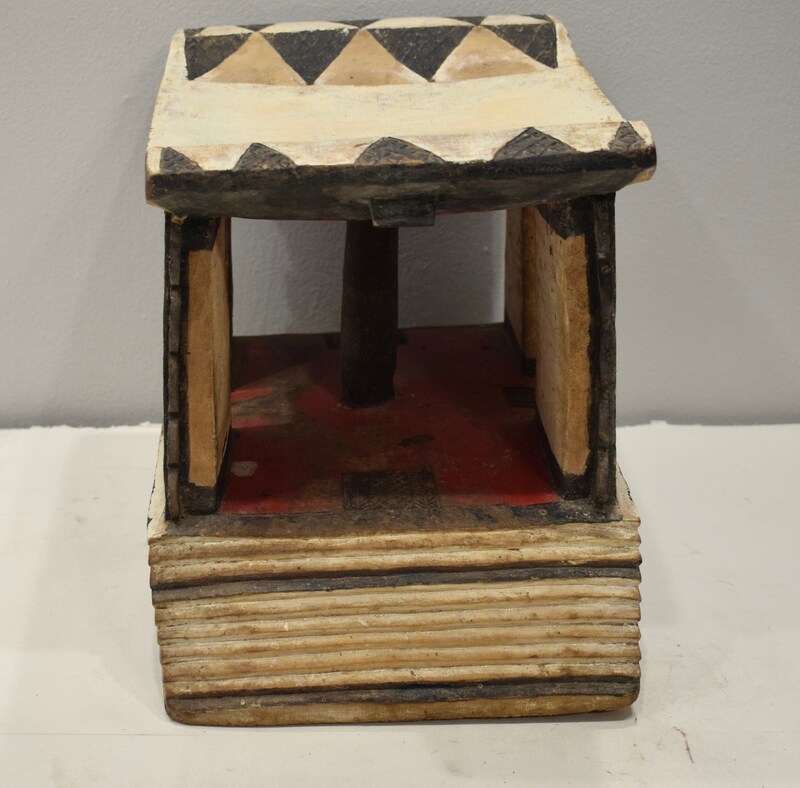 It is through these stools that the Ashanti communicate with their ancestors. 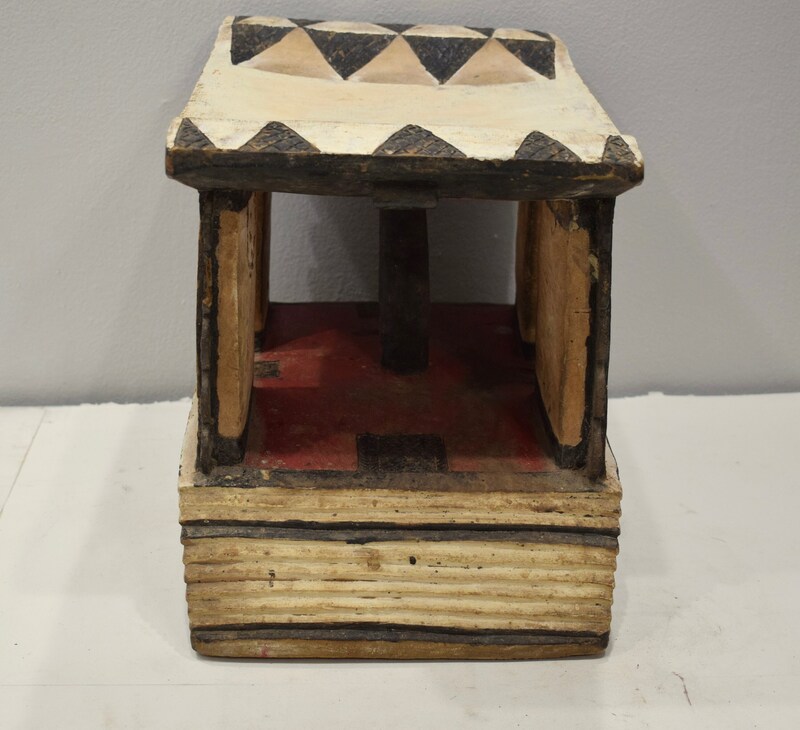 For the Ashanti the stool is the central object in their spiritual lives. Ancestral stool temples and shrines are the customary places of communal worship. 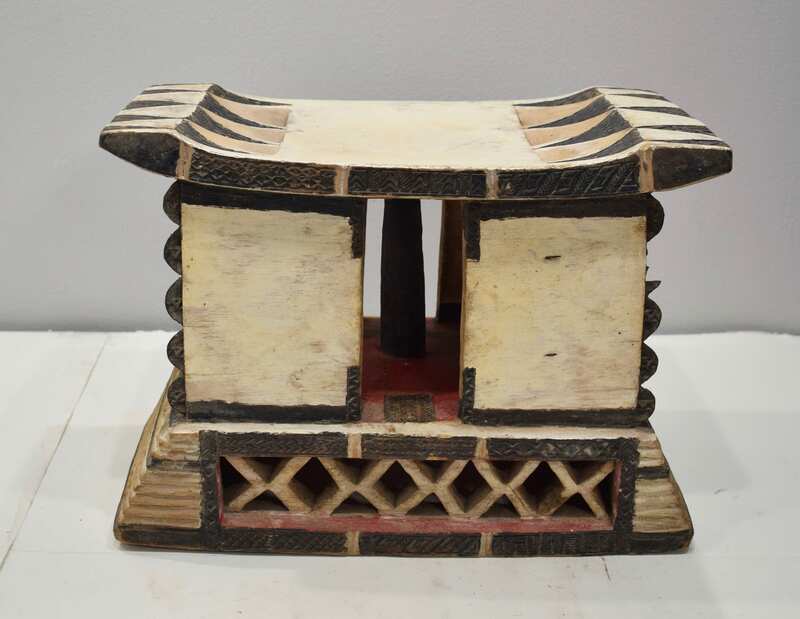 As these stools are sacred objects, it is an exceptional honor when an Ashanti carver is commissioned to make one.The symbols in the carving convey messages, and the stool will eventually house the spirit of the owner. The curvature of the seat is known as the mother's embrace. 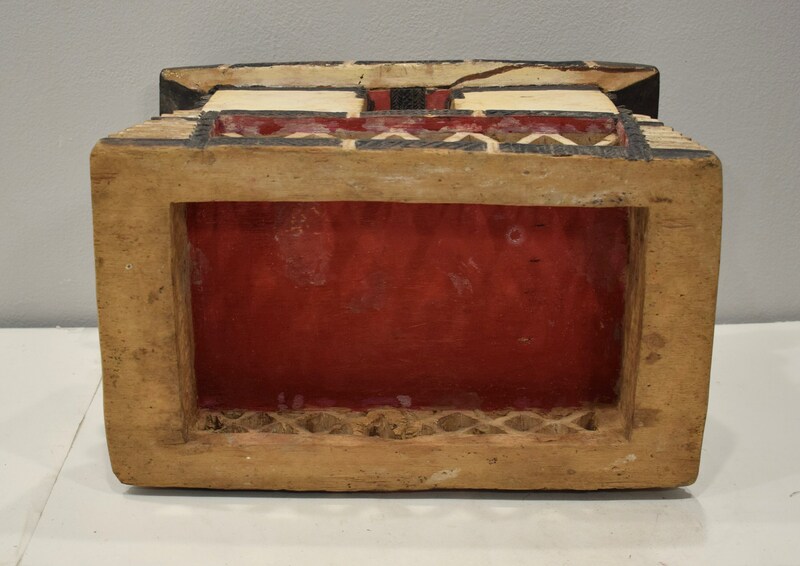 This type of stool matches the status of the patron. 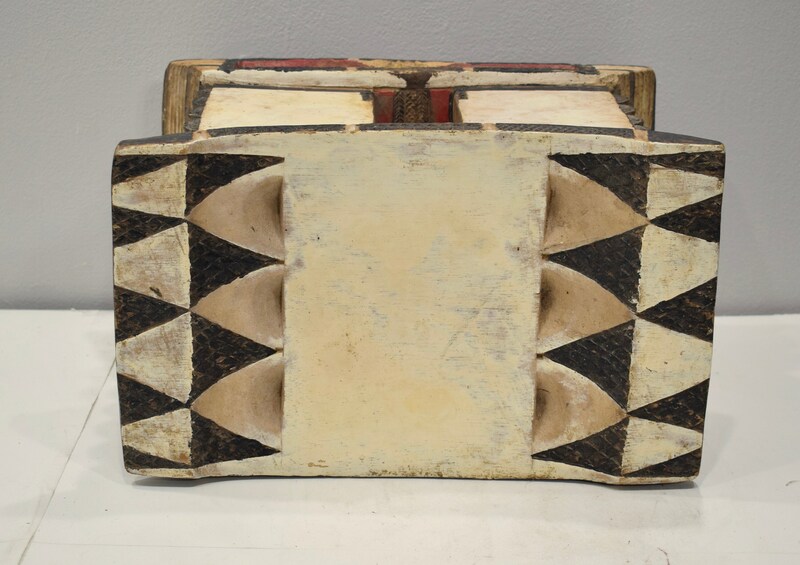 A wonderful item to add to your collection or home. Shows age, but in good condition.